I'm no psychic, but if you're reading this, chances are you're trying to figure out how to get massive clouds without damaging your MOD. If I'm right, which I am, then you're in luck! What I'm about to explain will blow your mind, not your MOD, and help you to make the biggest clouds you've ever seen. In an attempt to create those sought-after clouds, many vapers turn to a method known as “sub-ohm vaping.” Sub-ohm vaping is a process that pushes the limits of your battery. When you do this, it can cause the power load to exceed its limitations. This may cause the device to melt, overheat, or even explode. Sub-ohm vaping is dangerous and should never be attempted, but fear not; I'm going to give you three methods to creating those giant clouds we all know and love, without the risk of explosion. The first method is purchasing an e-liquid using high percentages of vegetable glycerin (VG). VG captures moisture from the air, creating those monumental vapor plumes. The more VG your e-juice has, the larger the clouds you'll produce. The issue with this method is the more VG you use, the more diluted your flavor will become. The next method is to use low ohm coils. Using a device with lower ohm coils is a quick and easy way to increase your vapor production. Lower ohm coils have less resistance, which causes them to become hotter in less time. This process will allow the e-liquid to burn faster, producing more vapor output. However, you'll run through your e-liquid much faster than usual. The final method involves reducing your nicotine strength. Many cloud chasers prefer not to use nicotine for this very purpose. Lowering the nicotine level to about 0.6% can help achieve larger clouds through a process referred to as “direct pulling.” Direct pulling is the process of inhaling directly from the mouthpiece of the device, allowing higher amounts of vapor to be inhaled. This method is highly effective in achieving larger clouds. Whether you choose to purchase an e-juice with a high VG percentage, purchase lower ohm coils, reduce your nicotine levels, or even chose to do all three at once, just take into consideration the pros and cons to each method and choose what's right for you. Before you know it, you'll be making clouds so large, you'll have your own atmosphere! 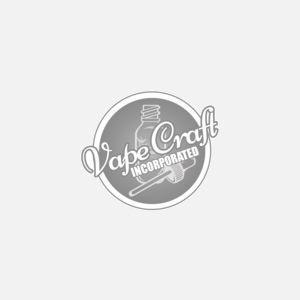 This entry was posted in Clouds, E-Juice, Vaping Relevant and tagged vaping, e-liquid, e-juice, MOD, clouds, cloud chasers, vapers, methods, VG, low ohm coils, nicotine strength on April 20, 2016 by vape.